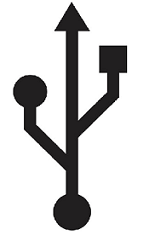 USB symbol: a ball with a North arrow, circle on the left and square four corners on the right. This stands for the Universal Serial Bus so explains the title location. Though this answer is the same as, and has similar questions to below, so may be a duplicate. Note: though by the wording of the riddle, this would need to be reflected. 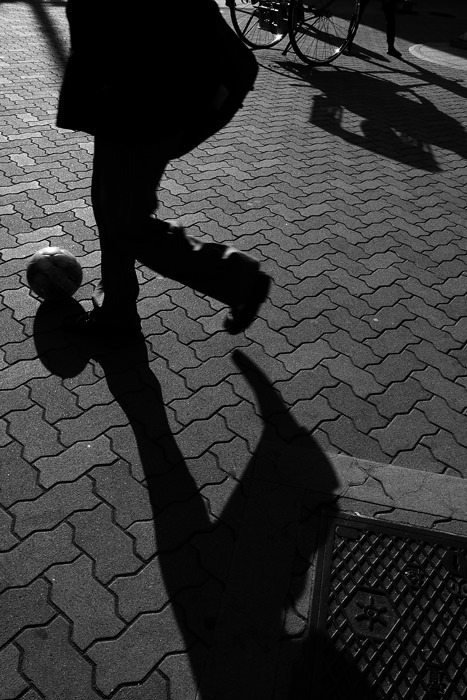 The button pad has a circular outline, the silhouette of a ball. 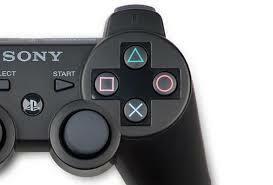 You use the pad to play games and you can connect with people online. The arrow of a compass is always pointing north. Borders and corners are markings on the compass - Corners are North, West, South, East. Borders are degree markings on the compass. Road Sign for a Roundabout? The main road continues straight ahead, or "North" of the roundabout. There are no exits to the left. There are two minor exits to the right, which are squared "stumps" with two corners each. The road splits into the three exits. Without the roundabout you can't get off the main road you're on. 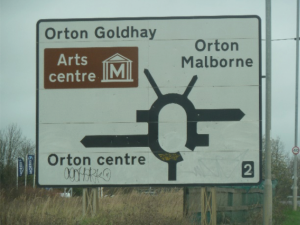 Imagine this sign with Orton Centre pointing North and Orton Goldhay, Orton Malborne and the other major exit removed. Oh and the two "Stump" (minor) exits moved round to the right.